What it is: VarageSale.com is an online an online marketplace similar to Kijiji.ca and Craigslist with more of a community feel. It has the trustworthy elements that you’d expect to find in an eBay listing (i.e. seller reviews and profiles) and social elements of what you’d expect to find in a Facebook buy and sell group (strict rules on group/posting behaviour, moderation and the ability to start discussions with members). How it works: All users (both buyers and sellers) must use their Facebook account to use the service. Once you have logged in and set your location, a list of Buy/Sell groups are displayed, and you can choose which areas nearby you would like to sell to. An organizer within this group will then review your request to join the group. Once you’re approved, you’ll see that listings are posted in a timeline much like you would see on Facebook. Users can rate each other based on how each person follows through on a sale, and these ratings are made public for other group members to view. Buyers are able to like and watch listings depending on their interest in an item, and these Like and Watch numbers will be shown publicly within the group. 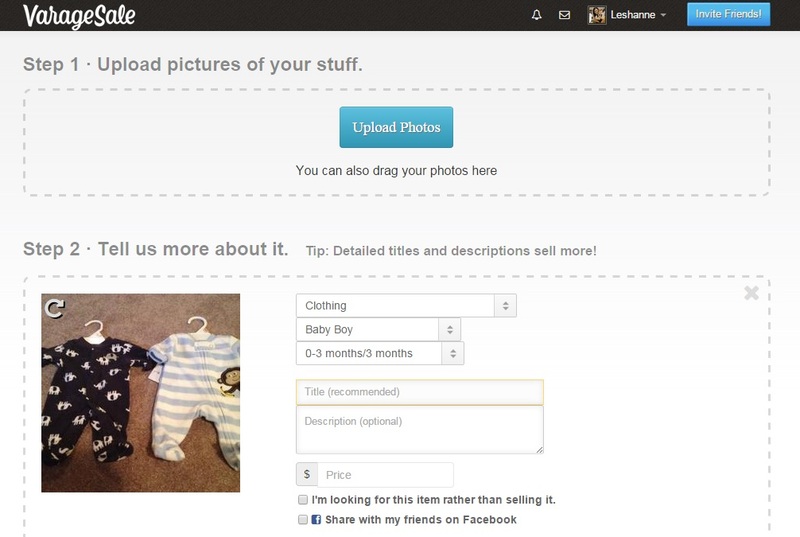 As a seller, your profile will have a summary displaying all items that you are currently selling. Buyers also have the ability to follow your profile to keep updated for future items that you list for sale. Pros: More personalized and secure than options like Kijiji.ca and Craigslist. This site comes with a set of rules for each community, similar to that of a Facebook buy and sell group. It’s a step up in terms of navigation compared to that of a Facebook buy/sell group, so in theory you’ll get more eyes on your items this way. This app or website (depending on how you use Varagesale) will walk you through every step of listing your items, making it easy to get over any feelings of procrastination when it comes to selling your stuff. Cons: It’s yet another social media site to join / or app to download. It does a lot of the same things that a Facebook buy/sell group does with the exception of having a better browse and search function. Value Potential: 2 out of 3. The mechanics of this community encourages buyers to interact with you more if they like the type of items that you sell. Listing your items is fast so you won’t lose too much time and you get control over pricing your items. Cost: There are no costs involved with using VarageSale.com.